Why does Warner Bros. and DC Comics Think Their Audience Are Idiots? It’s been happening for years ever since Christopher Nolan began working on Batman Begins, but Warner Bros. thinks its audience are not nuanced enough to get multiple iterations of their characters. It started with the Bat-Embargo that was placed on the cartoon Justice League Unlimted. The creators of that show were no longer allowed to use any ancillary characters from Batman including Renee Montoya and Harley Quinn, two characters that were created in their animated universe. Their reasoning was that children would become confused by too many different versions of Batman characters in Justice League Unlimited, Batman Begins, and their developing cartoon The Batman. First of all, this is highly underestimating the intelligence of children. Speaking from my own experience, I had no problem differentiating Mark Hamill’s Joker with Jack Nicholson’s Joker. 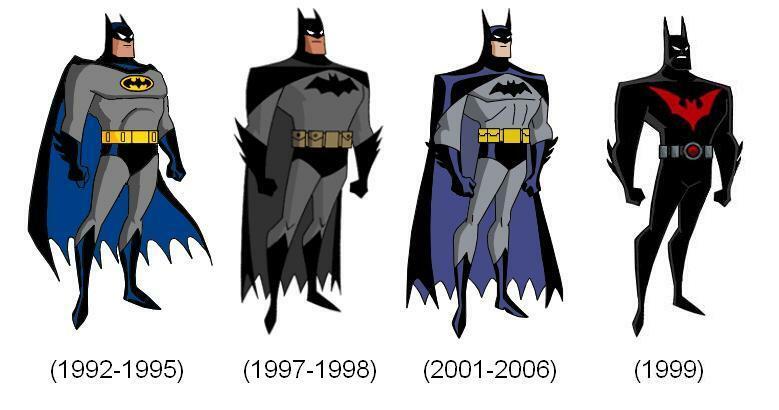 It was very clear there was a difference between the animated Batman that appeared on Fox and the version that appeared on the WB network. Let’s take it outside of superheroes. It was clear there was something different about Dan Castellaneta’s Genie in Aladdin: The Series and Robin William’s version in Aladdin: The Movie. This was at an age where there was no internet and I only learned why the Genie’s voice was different by reading the back of Return of Jafar’s case. Kids now have information at their fingers. There would be no confusion. Oh no, my head. 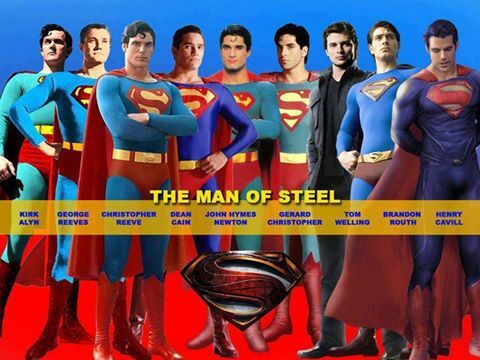 There are way too many Batman’s! Clearly they are the same, therefore I am confused on how to take in the media. Sorry Warner Bros. This spreads out to other obvious characters such as Batman, Superman, and Wonder down to characters like Harley Quinn. It even goes as far as to spread to characters that haven’t even be slated for a film yet. In season three of Arrow, we are introduced to Ray Palmer a.k.a. The Atom. This was originally intended to be Ted Kord a.k.a Blue Beetle but because Warner Bros. might have plans to use him in a film he was not permitted to appear on the show. The worst part is that they’re not even consistent. Blue Beetle and Booster Gold both appeared in Smallville with the latter also having a prominent role on Justice League Unlimited. 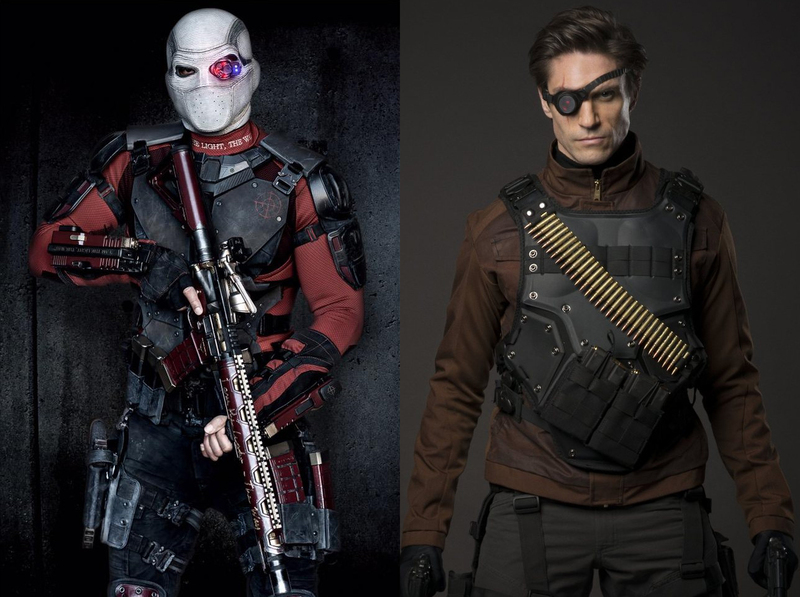 Development for a Suicide Squad film began as far back as 2009 yet they allowed Deadshot not only to appear in Arrow, which wouldn’t premiere for three more years after, but also in Batman: Assault on Arkham along with Harley. Harley appears in all three of Arkham games developed by Rocksteady along with the Joker. The first game in that series came out the year after Heath Ledger appeared as the Joker in The Dark Knight. No brand confusion there. The most prominent example of this is CW’s The Flash premiering while they’re simultaneously announcing Ezra Miller being cast as The Flash for the movies. How is this not an example of “brand confusion?” Warner Bros. makes the announcement just as their Flash TV series is beginning. You might be asking, “what if this is DC learning their lesson?” but you have to remember that this announcement was made before Arrow was forced to kill off their version of Deadshot because of the Suicide Squad film. Marvel, on the other hand, has no problem having multiple version of their characters in film and television. They seem to be doing just fine. For writers of fiction, one of the basic rules of storytelling that is taught is never to treat your audience like their idiots. Warner Bros. needs to learn this lesson before their audience gets tired of being talked down to. What’s So Exciting About Book Adaptations? Patrick Rothfuss’s “The Kingkiller Chronicle” was recently optioned by Lionsgate for not just a movie, not just a TV, and not just a video game but all three. This has caused a stir amongst fans of the book all across the social media landscape while people who’ve never read the books are shrugging as they read this. Put your favorite book in place of “The Name of the Wind” and imagine how you would feel. Are you excited? Finally, that book you fell in love with is going to be a movie, a television show, and a video game. It’s exciting news! Why though? The readers who make up a fandom around a certain series have become savvy to how books become movies, TV shows, and video games. We’ve also seen how those adaptations can disappoint. I’ve written extensively on why our expectations for adaptations can be harmful, often expecting too much or maybe too hard to it without understand how these adaptations are made. I don’t stand alone with the knowledge of the arduous process of making these projects nor have I entirely kept my Sword of Adaptation Criticism sheathed in regards to the last two seasons of “Game of Thrones.” The news of Patrick Rothfuss’ deal did beg the question, once my own excitement died down, why do we get so excited for news about adaptations in the first place? The reality is: Do you have a favorite character? There’s a chance he or she may be cut from the script. Do you have a scene that cry every time you read it? Or feeling a swelling in your chest when that satisfying moment comes on the next page? It might not make it in there at all. That line from the book you quote all the time? It might be said by a completely different character because the one that originally said it was cut and now one word of it was changed so it’s just a little bit off from the original. That line though is of course everyone favorite who has seen the movie / show so you have to hear it said wrong all the time and attributed to someone completely different. Lucky you! That subplot you thought really developed the protagonist, the one that really got into his head, well there’s no time for that anymore. These are just some of the pitfalls of adaptations. It’s not like the author can write the scripts, pick the casts (though sometimes they have a hand in that), designs the settings, costumes, and props. He or she is too busy writing their next book. Even if the author took the first crack at the screenplay there could be three others who rewrite next, and all of them have their own perspective on the series. Just look what happened with the screenplay adaptations of the Harry Potter books. Steve Kloves may have set JK Rowling at ease when he told her Hermione was his favorite character, but he made the trio completely unbalanced by giving Hermione all of Ron’s best moments and dialog in addition to her own shining moments. The fact is there is going to be change when it comes to the adaptation, and a lot of fans of the books are not going to like it. So why do we get excited at the prospect? Because, and I think a lot of readers will agree, when you love a book you want others to love it too. Adaptations are the easiest gateway to that. I have many friends who decided to read “The Lord of the Rings” and “A Song of Ice and Fire” because of the Peter Jackson’s trilogy and the HBO series. As a result it has led to many great discussions and conversations about them to an English Major like myself, nothing is better than discussions about books. Also, there is a bliss that comes when they get it right. I remember that feeling watching the pilot for “Game of Thrones” from the beginning when the gates to Castle Black opened to the end when Jaime Lannister lamented the things he does for love. Imagine that opening scene when we’re introduced to the Waystone Inn in whatever “The Kingkiller Chronicle’s” adaptation becomes is exciting. We want to see the world we imagine for so long. The second question I asked myself after I asked why do we excited is why do we need adaptations? There’s a reason why writers need adaptations. Financially, being a novelist is chaotic. There is no steady pay but peaks and valley. If you’re a writer and you are entering that valley period an optioning deal may be what keeps you afloat. For readers, though, why isn’t the book enough? I’m speaking generally, of course, because there are definitely people out there that don’t feel the need for the adaptation and they’re self-aware enough to not indulge. If the story is still ongoing, it’s a chance to get more. If the story is over, it’s a chance for it to be revitalized for a new audience and for the reader to relive the experience. It may not seem like it, but we want to like adaptations. Who doesn’t want new favorite movie or show? How nice is it to turn on the TV and see a story we love on it? We want more of the story and the world. That’s why it is exciting, the prospect of more of that story that make us happy. Featured image “Wise Man’s Fear” by Marc Simonetti.